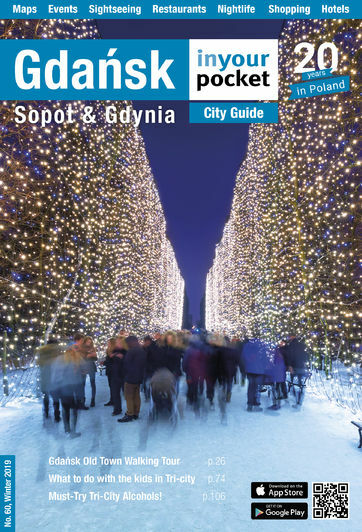 While Poland is increasingly becoming less discernible from other western European countries (in a good way, that is), there certain local traditions and laws which the foreign visitor should be aware of. This is In Your Pocket's run-down of the helpful things everyone should know when visiting Poland. Electricity in Poland is 230V, 50Hz AC. Plug sockets are round with two round-pin sockets. Therefore if you are coming from the UK or Ireland you are definitely going to need a plug convertor. The best place to pick these up is at Saturn in Galeria Baltycka or one of the big electrical outlets situated on the edge of town. Our advice is save yourself the hassle and get one in the airport as you leave. The Vistula (Wisła) River is Poland's longest river at 1,047km and flows through Kraków and Warsaw before reaching the Bay of Gdańsk (Zatoka Gdańska). Gdańsk sits on the Motława River which reaches the Baltic via the Martwa Wisła. Further help can be provided by embassies and consulates, of which a comprehensive list can be found in the directory section. If you’ve run out of money, however, then silly you. No embassy will bail you out, and your hopes will rest on a Western Union money transfer. Most banks and many exchange bureaus (kantors) can now carry out such transactions, just keep an eye out for anywhere displaying the Western Union logo. In Polish cities you’ll typically see two types of uniformed law enforcement. One is the police, the other is the local City Guard (Straż Miejska) and you’re more likely to come across one of them during your stay in the city. The City Guard was created following the fall of Communism and began appearing on the streets of Gdansk in 1991.Their role is to focus on local law enforcement and although they do not have the full powers of arrest as the police it is their role to maintain public order in the city; manage traffic in the restricted zones of the main town including dealing with parking and traffic violations and above all to assist citizens in the city. During the high season officers from the region who are able to speak foreign languages are re-deployed to the city and to the nearby beaches. These officers are easy to identify as they wear badges showing which languages they speak. While the Tri-city is in general a safe city, petty crime does exist and travellers are warned to show common sense with their personal belongings such as carrying your wallet or passport in a secure pocket and not in a jacket left casually lying around. Those travelling by car are asked to beware of the restricted parking zones in the centre of Gdansk and to pay and display a parking ticket where necessary. The most common reason foreign visitors fall foul of the law is for disturbing the peace by imbibing too heavily or for making too much noise particularly late at night. It is worth noting that large parts of Gdansk old town are residential and guards are often called to deal with rowdy party-goers by angry neighbours. The other well-known ways tourists fall foul of the City Guard is for jaywalking. You'll undoubtedly be surprised to see a crowd of people standing obediently at a crossing – take heed, they know that being caught crossing on a red signal or at a point where there is no marked crossing can result in an on-the-spot fine of around 100zl. Don’t think you are exempt by being a visitor; In fact your non-residency means you will need to pay the fine on the spot (the helpful chaps will even accept foreign currency). The City Guard have asked us to point out that they sincerely hope everyone who visits the city enjoys themselves and returns home safely. If you do find yourself in need of advice, directions or assistance they are happy to help and will contact the police on your behalf if it is something beyond their jurisdiction. Currency can be exchanged at airports, hotels, banks and anywhere with a sign proclaiming it to be a Kantor and you will also be able to withdraw currency at a bankomat using your ATM card. A Kantor will often provide better value than the banks in your home country or the ATM although for obvious reasons be very wary of Kantors in the airports, bus stations and close to tourist sights. Shopping around will reward you with the best rate. Prices for food, drink, cultural venues and transport still remain comparatively cheap in contrast to Western Europe. A ticket to the theatre or cinema will rarely cost more than 20zł while most museums costs around 5-10zł.